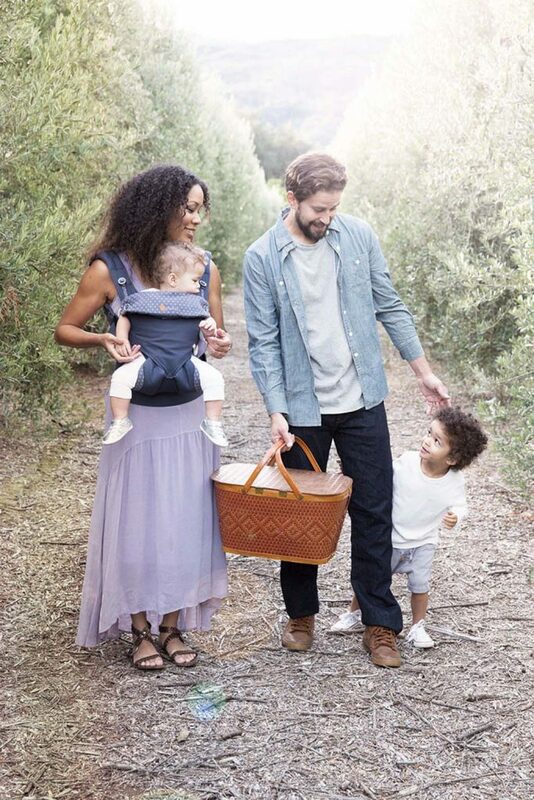 Parents have carried their babies across all ages and in all cultures, from hot dry deserts to steamy jungles. 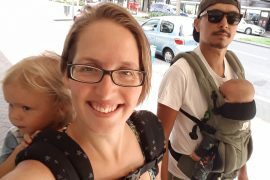 No matter the season, babies still want to be held close, but babywearing in the heat presents certain challenges. 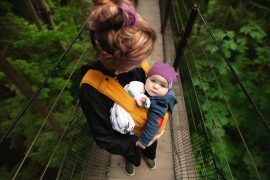 Here are some tips to help parents and babies stay cool, comfortable and sun protected while enjoying summer adventures together. Dress Accordingly: Light and airy clothes are best, whether your style is 100% cotton or linen or sporty performance fabrics. Remember the carrier counts as an extra layer so dressing baby down a layer will help keep her comfortable. 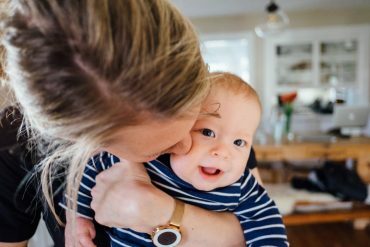 ‘Skin to Skin’ Contact: Studies show skin to skin contact triggers natural bio-rhythms that regulate mother and babies’ body temperature. So in summer, a mother’s chest will naturally cool down to help cool baby and the reverse is true in winter. 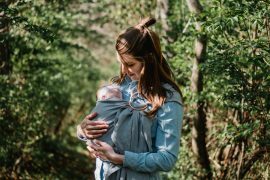 Babywearing – just the way nature intended! Stay in the Shade: If it’s not possible to stay in the shade, make your own! A hat with a big brim can provide both of you with quite a bit of shade!Â An umbrella or parasol can also come in handy to protect from the heat of the sun. 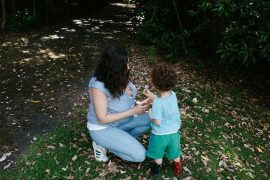 Boost the Airflow: Try a hand-held fan to keep you and your baby cool. 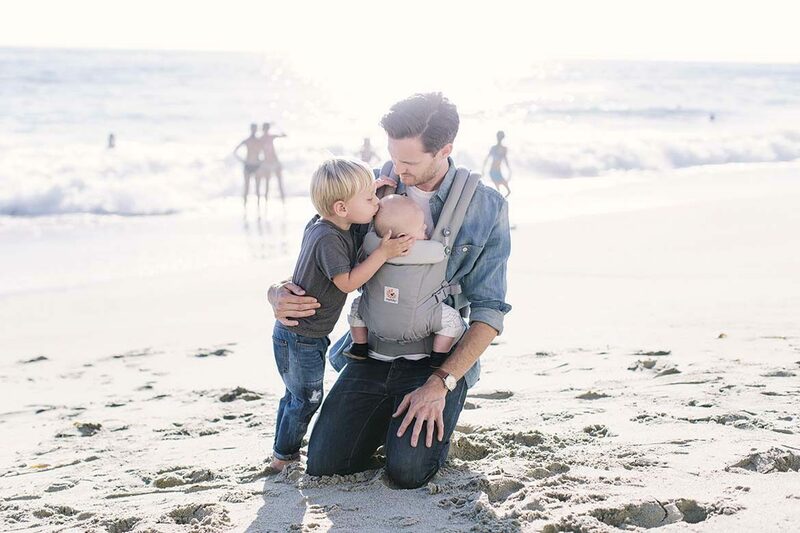 Babies lose the most heat from their heads, so limit covering baby’s head when not required for sun protection. Infant Insert Trick: Tucking back the sides of the infant insert exposes more of baby’s torso, allowing for even more air to pass over their body while still maintaining premium head and neck support. Water, Water, Water: Keep you and your child hydrated by drink plenty of liquids. Plus you can cool off with a little spray bottle for spritzing hands, feet and hair. 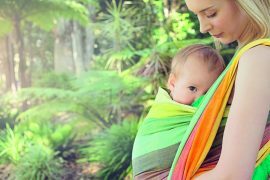 Best Ergobaby Carriers for Summer: Picking a carrier best suited to warmer weather will help keep you and baby cool. 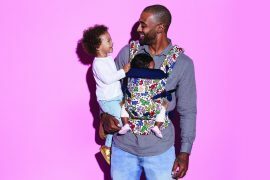 We love the Ergobaby 360 Cool Air Carrier for its breathable mesh panel and moisture wicking properties.Â The Ergobaby Adapt Carrier is also a great choice, with its breathable 100% cotton fabric and no Infant Insert required for maximum airflow and minimum layers. 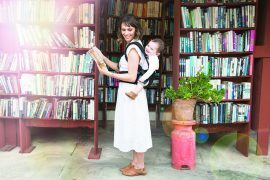 The Ergobaby carriers mentioned in this post are available from Babycity stores and website.